Steve Piccolo (USA, lives and works in Milan, Italy). After studying at Bard College and New York University, he began his career in the 1970s playing bass in jazz groups and doing sound/performance in New York art spaces. 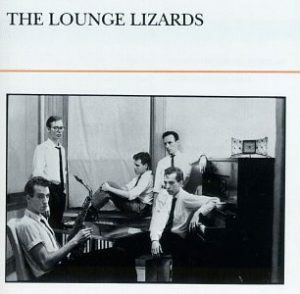 In 1979 he started the Lounge Lizards with the Lurie brothers, a project which continued for about five years. Active since the mid-1970s in music, theater, performance art, sound installations, video and film soundtracks. His activities as a musician, composer, artist, curator and teacher have become too numerous, frequent and varied to list them all here. 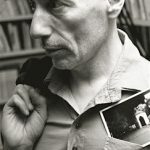 He has exhibited/performed at the Kitchen, Franklin Furnace, Environ, Squat Theater, PASS, La Mama, Issue Project Room, The Stone (all in NYC, from 1979 to 2010), Zona Gallery Florence (1982), Galleria Peccolo Livorno (1982, 2006), Documenta 8 Kassel (1987), La Rada Locarno (1989, 2004), Japanese Institute of Culture Rome (2003), MAMCO Geneva (2003), Palazzo delle Papesse Siena (2003, 2005, 2007), Base Gallery Florence (2004), FRAC Bretagne (2004, 2014), Triennale Milan (2004-05-07-09), Villa Croce Genoa (2005, 2012), Berlin Jazz Festival (1981 and 2005), Technical Breakdown Copenhagen (2005-06), Swiss Cultural Center Milan (2005), Venice Art Biennale (with WPS1, 2005, and with performances in Belgian and Greek pavilions, 2015), Sant’Arcangelo Festival (2005), Itinerario Festival Cesena (2005, 2007, 2014), Galleria Mazzoli Modena (2006), Turchin Center for the Arts Boone NC (2006, with residency), Trinity College Wales (2006), Venice Music Biennial (2006), ArtBasel Miami (2006), Kettle’s Yard Cambridge (2006), Babel Festival Bellinzona (2006), Moscow Biennial (2007), MiArt (2007), Swiss Cultural Institute Rome (2007), Spazio Mudima Milan (2007), SoundRes Lecce (2007), Experimenta Arts Festival Alberobello (2007), Performa New York (2007), Istanbul Biennial (2007), Body Process Arts Festival Istanbul (2007), Art Shakes Politics Messina (2007), Spazio Oberdan Milan (2008), Venice Film Festival (2008), Plektrum Festival Tallinn (2008), Venice Architecture Biennial (2008), GAM (now MAGA) Museum Gallarate (2008), City of Bergamo public art project (2008), Casino Luxembourg (2009), Metropolitan Museum New York (2009), City of Piacenza public art project (2009), Neon Bologna (2009, 2010), Parco d’Arte Vivente Turin (2010), Galleria Continua San Gimignano (2010), Loop Festival Barcelona (2010), Novara Jazz Festival (2010), (un)defined festival Merano (2010), Grrr Jamming Squeak Rotterdam (2011), TeatroStudio Scandicci (2011), group show I Miss My Enemies (collateral event Venice Art Biennial 2011), Festival of Imperial Gardens St. Petersburg Russia (2011) Isola Art Center Milan (exhibitions and local activism since 2002), Tirana Art Center (2011), Taller Seite Medellin (2011), Milano Film Festival (2011), Evento Bordeaux (2011), Auditorium Parco della Musica Rome (2012), Contemporary Locus Bergamo (2012), Festival della Filosofia, Modena (2012), MAAXI Rome (2014), Manifesta 10 St. Petersburg (2014), Vienna Secession (2014), Expo Milano (2015), Italian Cultural Institute Bratislava (2015), National Gallery of Arts Tirana, ONUFRI Prize (2016), Vienna Kunsthall (sounds for Nathalie Du Pasquier, 2016), Innsbruck International (with LF Nagler, 2016), Palazzo Reale Milan (VR project in exhibition by A. Pomodoro, with Oliver Pavicevic). Many of these projects were done in ongoing collaboration with Japanese musician/sound artist Gak Sato. Piccolo was sound curator at ArtVerona in 2008 and for the exhibition “Club 21” during Frieze 2010 in London, and curator of the project Chinatown Temporary Art Museum for Undo.net’s participation at InContemporanea Milan in 2008. 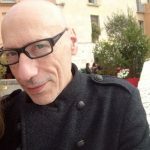 His collaborations on art video/performance/installation soundtracks include works with Adrian Paci, Luca Pancrazzi (including sound art group DE-ABC with Gak Sato), A Constructed World, Giancarlo Norese, Alessandro Mendini, Nathalie Du Pasquier, Gabriele Di Matteo, Marc Vincent Kalinka, Marzia Migliora and many others. He has published many records (see discography on this website). He has taught art courses at Accademia Carrara Bergamo (2002-2014), NABA Milan (2005-13), and Politecnico di Milano (Piacenza campus). 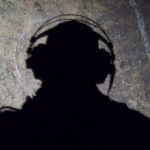 His writings have been published in many international journals, magazines and books, including 4 years of a monthly column for the magazine InSound and curating of sound art pages at the Undo.Net website. Steve was one of the active members of Isola Art Center in Milan (2001-2013), and is currently part of the magazine-collective E IL TOPO (since 2009). Projects for 2017 include a workshop at Galleria Nazionale Rome and a performance at Museo Vincenzo Vela (Ticino). He has founded and curates, together with Sergio Armaroli, a new space for sound art and poetry in Milan: ERRATUM. For more info explore the rest of this site.